Farida Shamou, 88, passed away peacefully on Sunday, July 8, 2018. She was the beloved wife of the late Gewargis Adam Youmara and came to the U.S. with her husband in 1978 from Baghdad, Iraq. 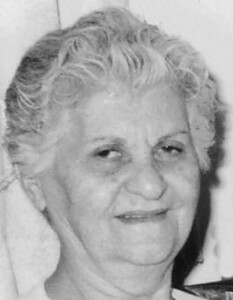 She resided in New Britain and was an active member of St. Thomas Assyrian Church of the East Farida, and is remembered for her exceptional cooking and baking skills; and takes with her many tasty Assyrian and Middle Eastern recipes. She enjoyed gardening, crocheting and traveling. Posted in New Britain Herald, on Monday, 9 July 2018 19:12. Updated: Monday, 9 July 2018 19:14.